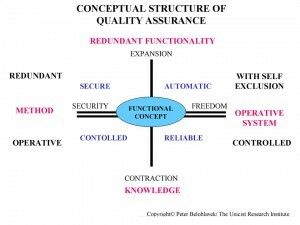 Quality assurance is a characteristic that systems have, whether they include human action or not, to provide the accurate result to the point of being substituted by alternate systems in the case of failure. It is the process that, designed by objects, produces maximum quality assurance to generate added value. It is the way to develop “robots”, unmanned planes, complex systems diagnosis methods, etc. It is fundamentally based on a consecutive self-exclusion system, prior to self-repair, existence of processes with multiple redundancies in all critical processes and the existence of a stop system for emergency exits for a situation. 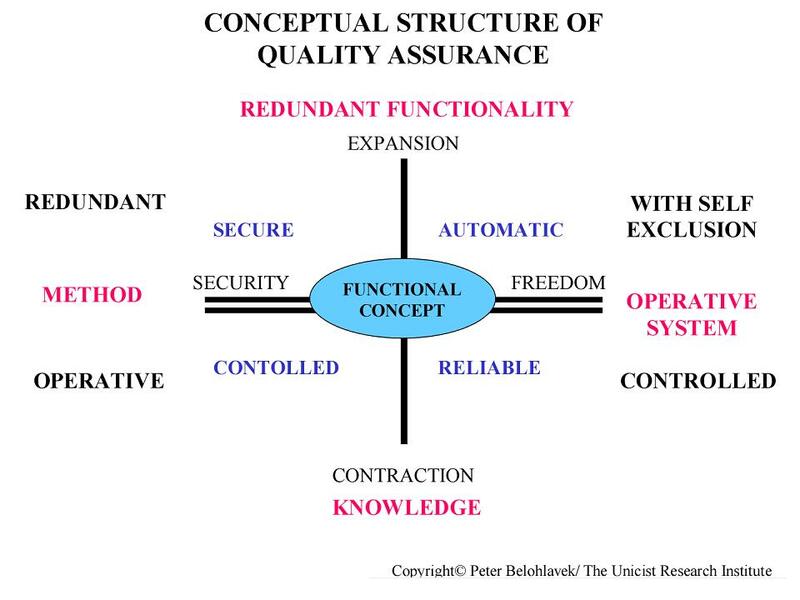 It is the highest expression of quality assurance and depicts as operational limit the system’s inability to adapt to unexpected situations.